Lewis v. Clarke involved a run-of-the-mill car accident: The plaintiffs, Brian and Michelle Lewis, citizens of Connecticut, were driving on an interstate highway outside the boundaries of the Mohegan Reservation when they were rear-ended by the defendant, William Clarke, also a citizen of Connecticut. Clarke was an employee of the Mohegan Tribe, however, and the accident occurred while he was driving customers to the tribe’s casino. The Lewises sued Clarke in Connecticut state court for damages resulting from the accident. Clarke moved to dismiss the lawsuit, arguing that he was cloaked in the tribe’s sovereign immunity because he was acting as a tribal employee or, in the alternative, because the tribe had agreed to indemnify him for any damages arising from his official acts in furtherance of the tribe’s interests. The Connecticut trial court denied the defendant’s motion to dismiss the suit on the ground that the remedy the plaintiffs sought — money damages from Clarke — did not, as today’s opinion put it, “affect the Tribe’s ability to govern itself independently.” The Supreme Court of Connecticut reversed, holding that permitting a plaintiff to overcome tribal immunity simply by styling his complaint as against the defendant in an individual capacity would render tribal immunity a nullity. 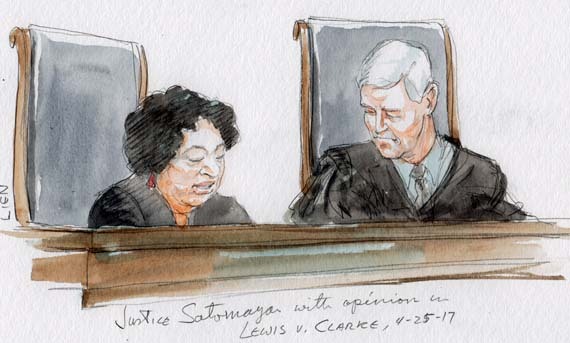 In reaching this straightforward but somewhat arbitrary conclusion, the court was essentially leveling the playing field between states and tribes. All agree that if Clarke were an employee of Connecticut instead of the Mohegan tribe, the case would be an individual one, and there would be no sovereign immunity. The decision in this case stands for the proposition that tribal immunity is no greater than state immunity. That seems right, both as a matter of history and logic. Although the details of state and tribal sovereignty differ somewhat here and there, depending on the area of law or statute in question, there is no reason that sovereign immunity rules should differ. Whatever the basis for these rules, there is nothing about tribal sovereignty that makes them cut one way or the other. Under the landmark ruling in Montana v. United States, the boundary of core tribal jurisdiction does not extend “beyond what is necessary to protect tribal self-government.” As noted above, the lower court, whose opinion was effectively reinstated by the Supreme Court’s holding, found that nothing in this case implicated the ability of the tribe to govern itself. Justice Clarence Thomas and Justice Ruth Bader Ginsburg concurred separately, although their reasoning was similar. 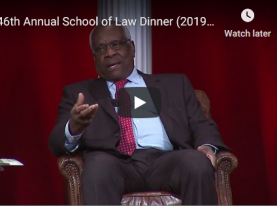 Both wanted the case decided on simpler grounds — Thomas on the ground that the conduct was off-reservation and of a commercial nature, and this defeated any immunity claims, and Ginsburg on the ground that the conduct was off-reservation and involved a non-tribal member. In essence, both wanted the court to revisit its 1988 decision in Kiowa Tribe v. Manufacturing Technologies and its 2014 decision in Michigan v. Bay Mills Indian Community (in which both Thomas and Ginsburg dissented). These cases hold that tribal immunity can extend beyond reservation land, even in commercial cases. 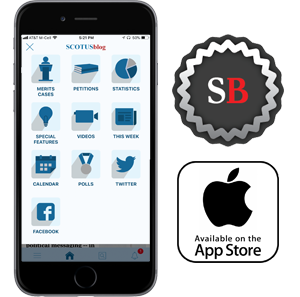 The court declined to reconsider these precedents or other core issues of the scope of tribal sovereignty (such as whether there should be any separate tribal sovereignty). Although recent opinions have teed up these questions, it is possible that the court viewed a simple car accident between two non-tribal members occurring off the reservation as a poor vehicle (pun intended) for making such a sweeping change to tribal law.